What are the insurance requirements for a leased vehicle? You must maintain physical damage, comprehensive, and collision insurance coverage in accordance with your state-specific minimum requirements for the duration of your contract. Honda Lease Trust should be listed as an additional insured and loss payee. Please read your lease agreement carefully and contact your insurance agent for details on your state’s requirements or information on coverage to suit your specific needs. Not at all. Once your lease begins, you cannot change your mileage allowance. However, we have special lease programs that allow you to buy “up-front” mileage less expensively than you would pay at the conclusion of the lease. Plus, the cost of excess mileage is conveniently included in your monthly payment. If you do not use all the miles you purchase, no refund is made. 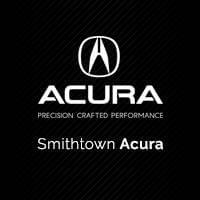 Ask your Acura dealer for details. Yes. Your Acura dealer can give you the details. In the meantime, be sure to check out our Acura Care® programs. What happens if my vehicle is stolen or “totaled” in an accident? In these cases, your lease may be terminated early. Please contact Client Services as soon as possible to notify us and discuss the next steps. But rest assured — all Acura leases include (Guaranteed Asset Protection) to protect you against unnecessary expenses. Are leasing and balloon financing available for non-Acura vehicles? Not through Acura Financial Services®. 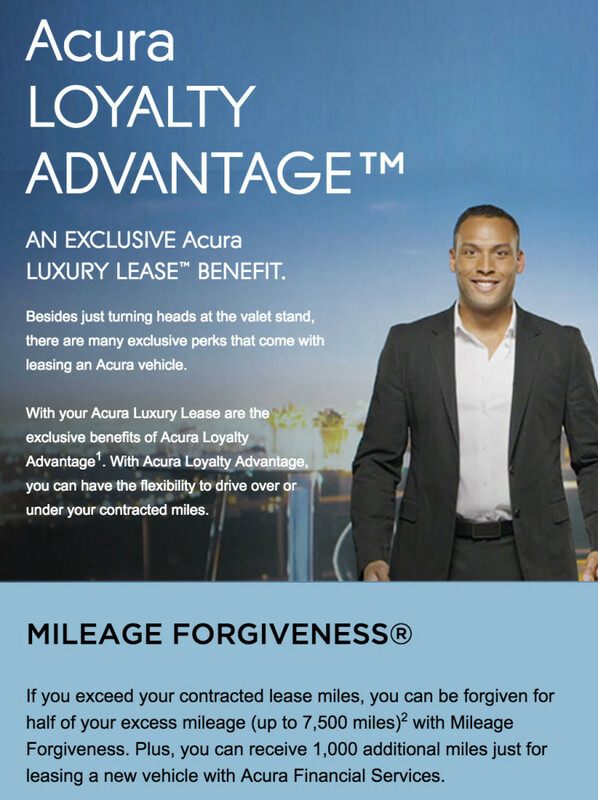 What are Acura Loyalty Advantage benefits? 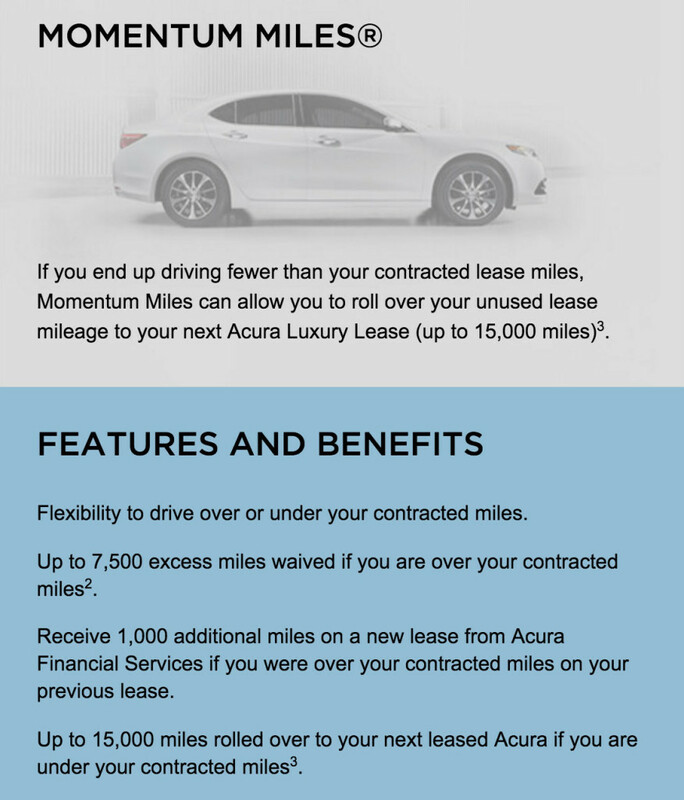 Momentum Miles™: If you have driven fewer than your contracted lease miles, your unused lease miles (up to 15,000) will be rounded up to the nearest 1,000 and added to your next Acura Luxury Lease™. Mileage Forgiveness™: If you have driven more than your contracted lease miles (up to 7,500), we will waive half of your excess mileage when you lease or finance through AFS. Plus, if you choose to lease another new Acura with us, we’ll add an additional 1,000 miles to your base mileage amount. 3 If you are under mileage, up to 15,000 miles can be rolled over to your next leased Acura financed by Acura Financial Services if the new Acura is leased from a participating Acura dealer. ©2012 Acura Financial Services® is a DBA of American Honda Finance Corporation and both are service marks of Honda Motor Co., Ltd. Acura, the stylized “A” logo, Acura Luxury Lease, Mileage Forgiveness, and Momentum Miles are trademarks of Honda Motor Co., Ltd.